Another one from me at 1440P with a 2080. 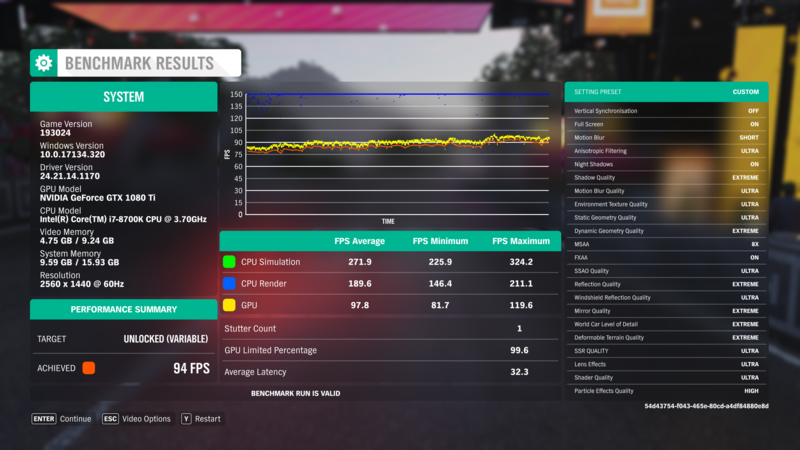 I don't know what it's boosting to so just listing the default GPU speeds. 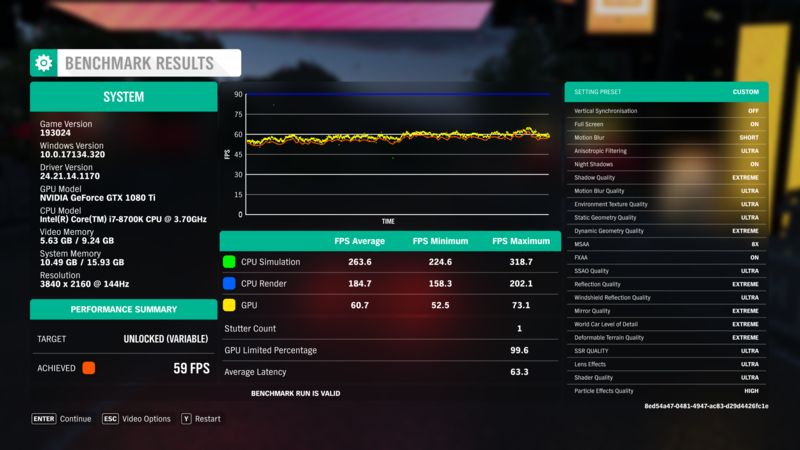 So, both the 2080 and the 1950X are both stock. 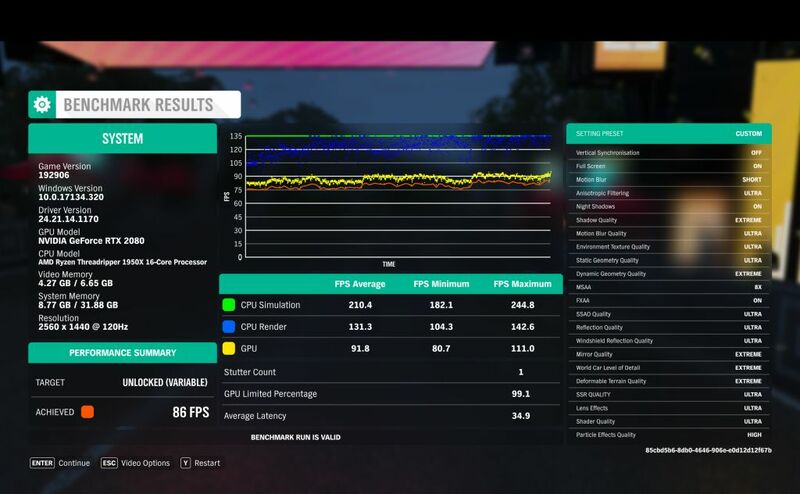 Note that the GPU is using about 0.5GB less than the run with a 1070 Ti. Edit: Set motion blur to ultra. Weird, it launches for me with Afterburner osd. 2160p won’t work for me for some reason. I get a greyed out screen only at this resolution. not only me if you Google, 'Forza horizon 4 afterburner' people having the same issues. Have you got your setting right? I think your ultra wide one is at 1080p? Nvidia has a wobbler creating custom 16:9 resolutions when using ultra wide, so had to lug the beasty downstair to the 4k telle. so can get some more benchies. Could you check the MSAA setting on the 2160p result as the screenshot is saying X4. @Kaapstad Hi, How about using one of the reserved posts to host some on-line bench reviews.